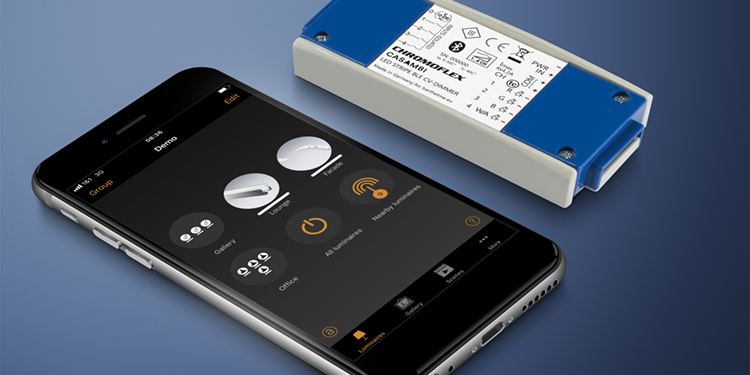 Barthelme LED Solutions offers with the new CHROMOFLEX CASAMBI a new radio control based on Bluetooth. Individually produced linear luminaires by Barthelme emphasise the varied interior design of the cooperation and event space "FULL NODE" in Berlin. 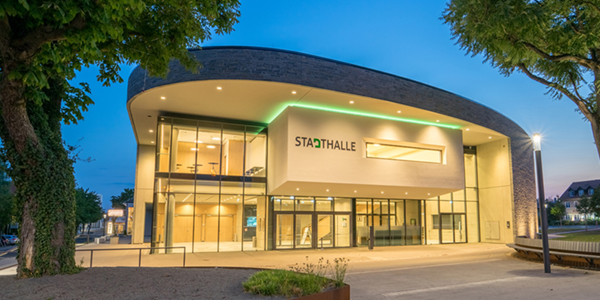 Individually manufactured LED linear luminaires by Barthelme illuminate the Stadthalle in Bad Neustadt an der Saale, which won the German Design Award 2018. Barthelme supports the Luci lighting project in Riviera along the Brenta Canal with outdoor luminaires. 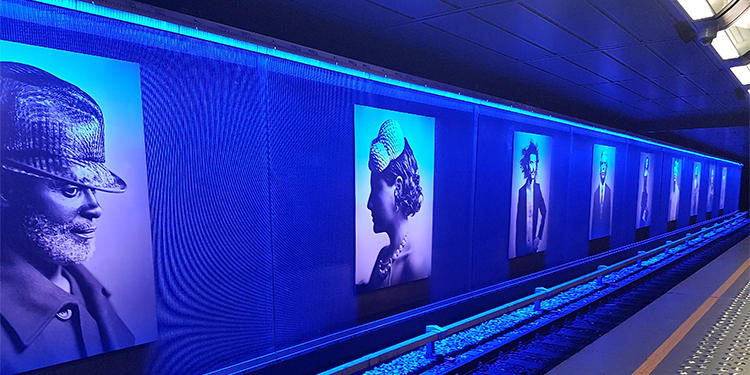 BERgamo series wallwashers illuminate artworks in the West Station of the metro in Brussels. 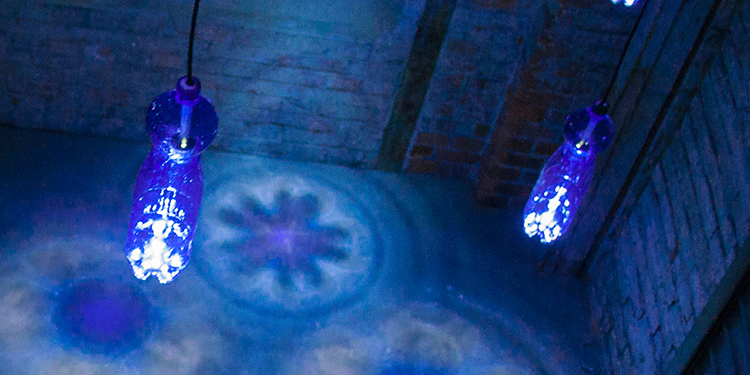 The luminaires are seamlessly arrayed without shadows over a length of 90 m.
For the Coburg Design Days, students developed lamps made of PET bottles and LED spotlights from the Bari series. 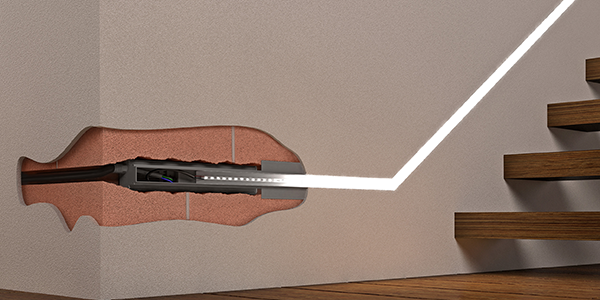 With the new CATania 30 UP flush-mounted profile, Barthelme offers a solution with which linear light lines can be integrated directly into structural walls. From 18 to 23 March 2018 Barthelme will be presenting innovative lighting solutions for indoor and outdoor areas at the world's leading trade fair for lighting and building automation in Frankfurt. 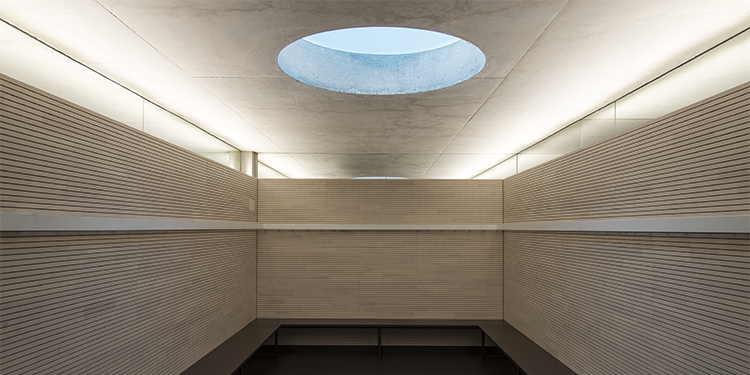 Indirect lighting does not always have to serve the ambience. LED solutions with a high lumen flow also fulfil their task in compliance with standards, even with low ceiling reflection. 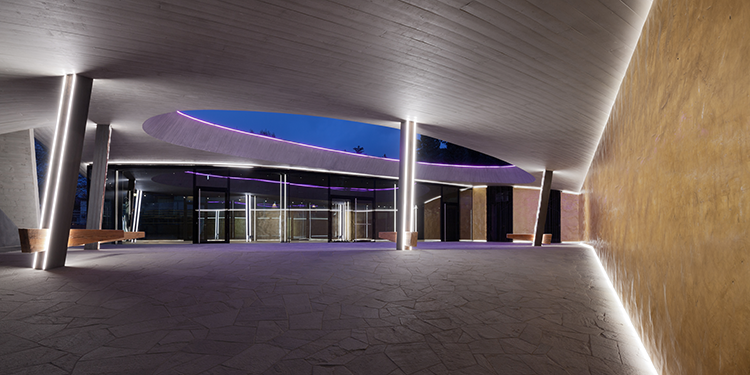 At the foot of the Dolomites, LED light lines of the AQUALUC series highlight an extraordinary building: the extension of the Luxury Multibrand Store Franz Kraler. 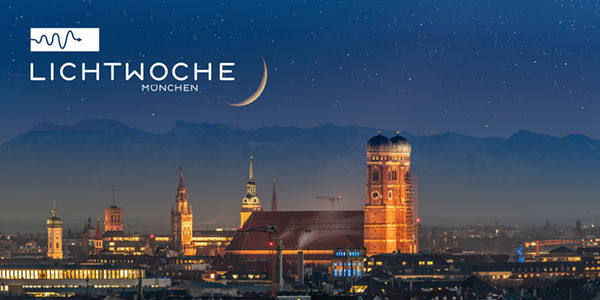 After the great successes of the last two years, LICHTWOCHE München 2017 will take place for the third time. Barthelme LED Solutions has been supporting the event in the Bavarian capital since the very beginning. 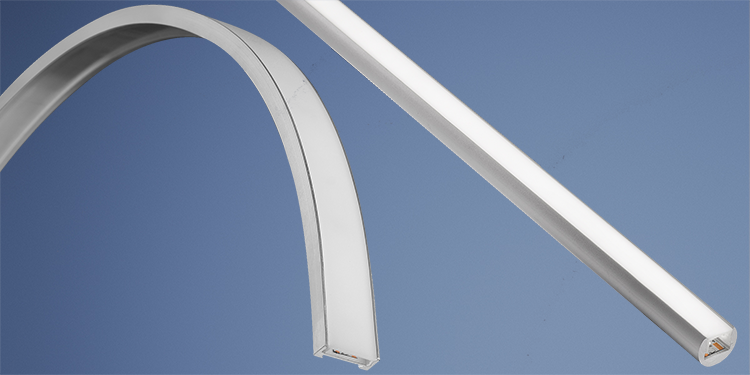 Barthelme LED Solutions has expanded its range of LED profiles with the BARdolino R mini und GARliano flex. The aquanale 2017 will take place in Cologne from 7 to 11 November. Barthelme presents modern and innovative LED solutions for sauna, pool and ambience. 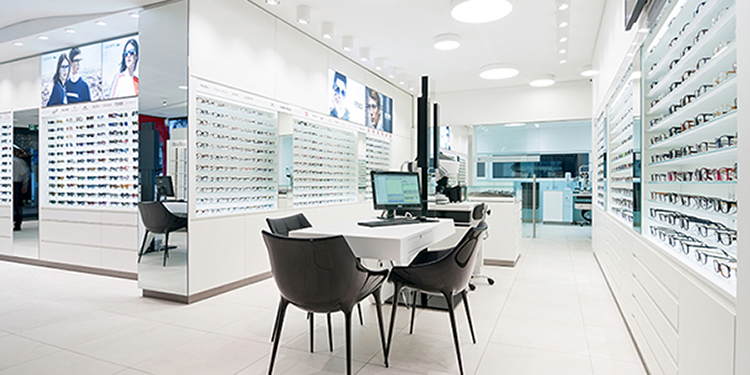 Light plays an ever-increasing role in the retail industry and fulfils numerous tasks. 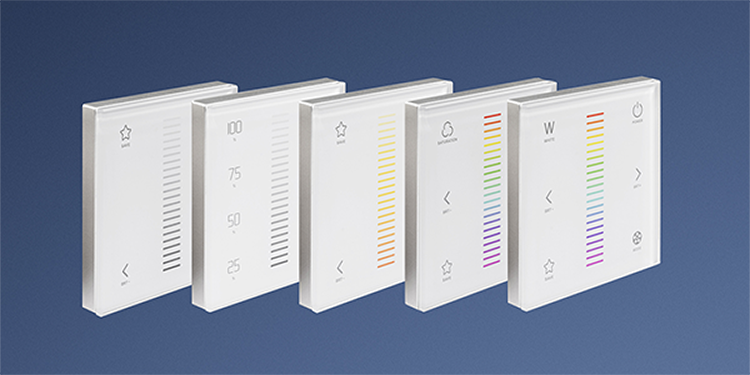 It functions as orientation guidance, product accentuation and creates a pleasant ambience. A tailored shop illumination is therefore a significant factor for retail branding and for a positive customer shopping experience. The new 1-4 channel LED controller „Glass Touch DMX“ is a compact light controller with 230 V connection which can be wirelessly connected to other units and for which a remote control is optionally available. The architect and designer Marco Marini created a light installation with customized luminaires from Barthelme in the former Church San Carpoforo, right in the center of the historical old town of the Italian metropolis. The LED luminaires Verona midi from Barthelme compel on the outside with a sophisticated yet classical design and with modern LED technology in the inside. 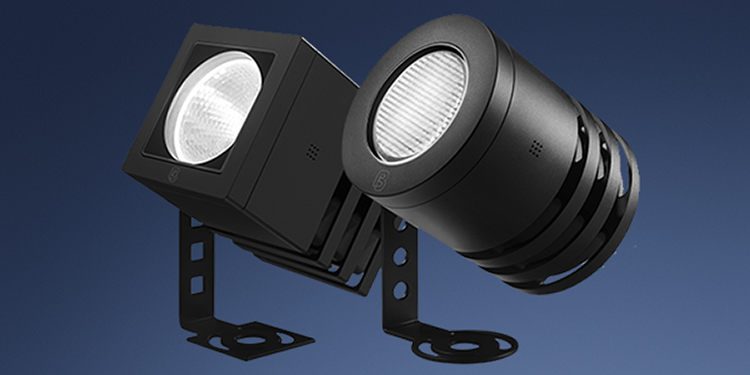 The new Pisa Accent, with a protection class rating of IP 67, has a load carrying capacity of three tons and is ideally suitable as marker lighting for parking areas, sidewalks or for impressive light accents in parks and gardens. Individual luminaires and LED light lines enable the perfect orchestration at the location San Carpoforo downtown Milan. The new Barthelme LED Solutions 2017 catalogue is packed with over 300 pages of high quality LED technology for indoor and outdoor applications. The eltefa is the largest state trade fair for the electrical industry and focusses on both commercial and industrial electro-technical applications. In the course of a general structural restoration the lighting concept of the "Schöne Brunnen" was fully revised with accent lighting from Barthelme. The GET Nord presents its visitors building technology in all its diversity under one roof. 500 national and international exhibitors in Hamburg present their innovations and solutions in 60,000 m² of floor space. Barthelme LED Solutions has expanded its range of high-quality anodised aluminium LED profiles with the CATania 4040 and the CATania 6075 T.
The international trade show interbad is taking place for the 50th time in 2016. 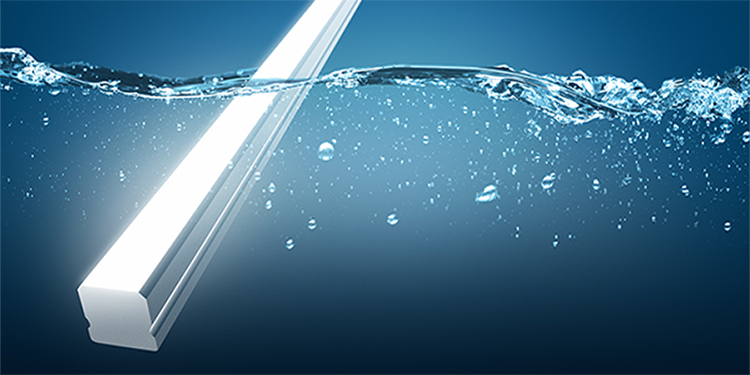 At our booth we will be presenting high quality LED solutions for pool, spa and sauna applications. 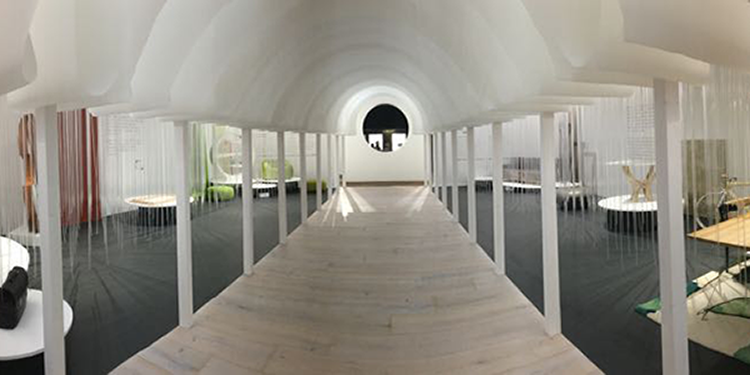 New highlight in impressive architecural ambience: LED solutions from Barthelme accentuate the installation "Light & Light" in the panorama foyer of the CC Würzburg. 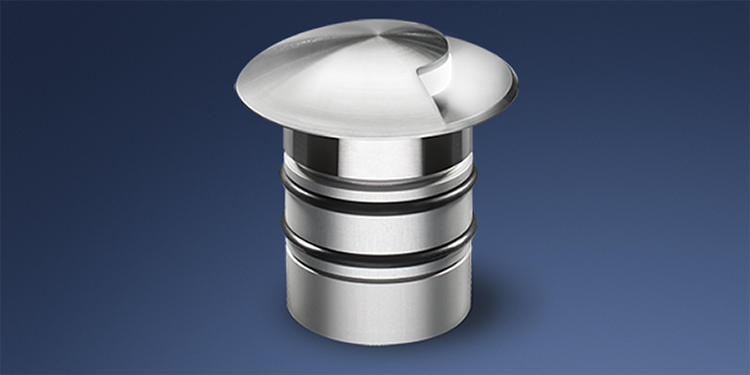 Barthelme LED Solutions complements its luminaire portfolio with two high quality downlight series in three performance packages and twelve individual forms for indoor illumination. The high quality AQUALUC mini, with slender dimensions of only 10,5 x 5 mm and a minimum bending radius of 5 cm can be fitted in the most delicate of spaces and is ideally suited for outdoor applications. The new Barthelme LED Solutions 2016 catalogue has been released. Barthelme will be presenting numerous LED lighting innovations for indoor and outdoor applications from 13-18 March 2016 at the Light+Building in Frankfurt. During the renovation of Castle Eckberg it was of great importance to retain the historical character of the premises whilst at the same time meeting the modern technical demands – also with regards to the lighting. Barthelme LED Solutions and bluleu LED Solutions have entered into a strategic partnership to maximize the benefits of existing synergies. The LED lighting specialist, Josef Barthelme GmbH Co. KG, has been voted one of BAYERNS BEST 50 companies and now rates among the 50 strongest growing midsize companies in Bavaria.